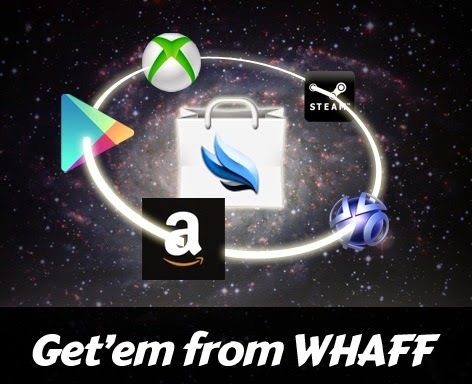 For users, who have balances whaff and want to buy games the books or paid application on Google Play Store, we can exchange the voucher Google Whaff Balance Play (Gift Card). A little information for those who have never purchased applications Play in Google's Store "paid apps (premium) only accepts the payment method from credit/debit cards and also Google Play Gift Card". 3. Next select "Google Play Gift Cards"
4. Then tap "AVAIBLE AMOUNT"
8. "This is a US gift card, If you know how to use it in your country, please request it, thanks"
Meaning : that the Voucher / Gift Card you requested is no unwrapped outside the US , so it can not be used in your country . In order to be used outside of America then you have to change the location of the address on your Google Wallet account first , before buying something at Play store. 9.Then Tap OK again , Vouchers will be sent not less than 3 business days . 10. To ascertain whether it has been successful , look at the menu PAYOUT HISTORY , if there is a report PAYOUT REQUEST means it was successful..
That guide how do I exchange a balance Whaff to Google Play Gift Card, using a Voucher, you can easily purchase applications and gaming favorites without having a credit card.Good Luck...!!! 0 Response to "HOW TO CHANGE THE BALANCE WHAFF REWARDS TO GOOGLE PLAY GIFT CARDS"